Instant hydration for dry & damaged hair. Enriched with Vitamins B5 and E to deeply nourish and condition hair. Infused with a blend of Vitamin E and ProVit B5 ProVit B5, this moisturising shampoo works to intensely hydrate and smooth. Strengthening Wheat Proteins help to repair damage, resulting in deeply nourished, conditioned and moisturised hair. For best results, follow with the A'kin Moisture Rich Macadamia Oil and Wheat Protein Conditioner. Available in 225mL and 500mL sizes. 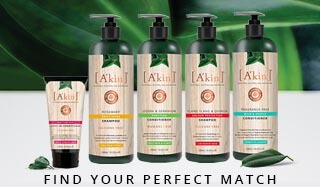 All A'kin shampoos and conditioners are silicone free. Massage into wet hair, adding more water to build a natural lather. Rinse & reapply if necessary. For best results follow with A'kin Moisture Rich Macadamia Oil & Wheat Protein Conditioner. If using a natural shampoo for the first time your hair will most likely need to go through an adjustment period. This could take up to a month for the build up of ‘nasties’ to be removed and your hair and scalp to start seeing the benefits and natural change for the better. Natural Shampoos tend not to lather so much as conventional products due to the natural cleansers that are used vs. sulphates which created the foaming effect. Aqua (Water), Sodium Lauroyl Sarcosinate*, Disodium Cocoamphodiacetate*, Cocamidopropyl Hydroxysultaine*, Sodium Lauryl Sulfoacetate*, Lauryl Glucoside*, Hydrolysed Wheat Protein*, Glycerin*, Sorbitol*, Coco-glucoside*, Glyceryl Oleate*, Glyceryl Laurate*, Panthenol (ProVit B5), Citric Acid*, Sodium Citrate*, Sodium Gluconate*, Sodium Cocoyl Glutamate*, Guar Hydroxypropyltrimonium Chloride*, Maltodextrin*, Rice Amino Acids*, Tocopheryl Acetate (Vit E)*, Quillaja Saponaria Bark Extract*, Lavandula Angustifolia (Lavender) Oil+*, Citrus Aurantium Bergamia (Bergamot) Fruit Oil*, Citrus Aurantium Dulcis (Orange) Peel Oil*, Jasminum Officinale (Jasmine) Oil*, Sodium Hydroxymethylglycinate, Limonene^, Linalool^. 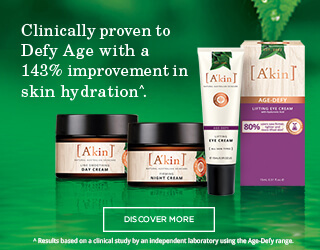 + Certified Organic, *from Botanical source, ^Natural component of essential oil.